A few weeks back we got a look at PPW Toys' CG mockups for their upcoming line of Marvel Mr. 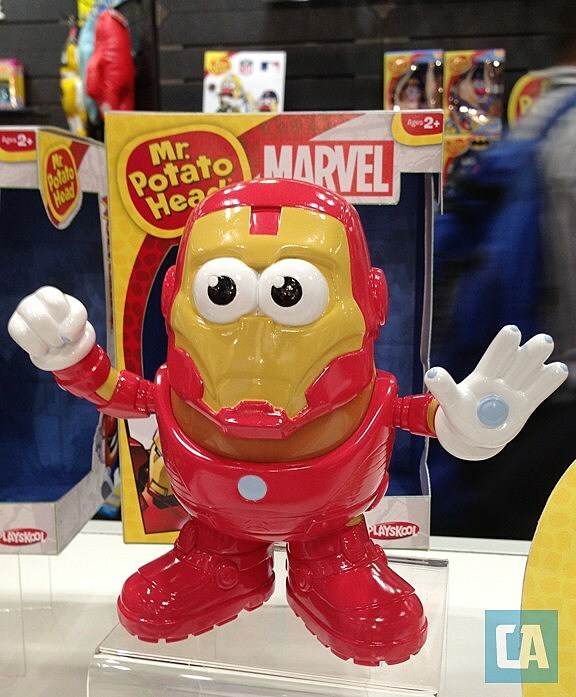 Potato Head toys, which is expected to launch this summer at specialty retails and online. While the line's Thor wasn't ready to display at PPW's Toy Fair 2013 booth, Iron Man and Wolverine were on hand, strutting their starchy stuff. 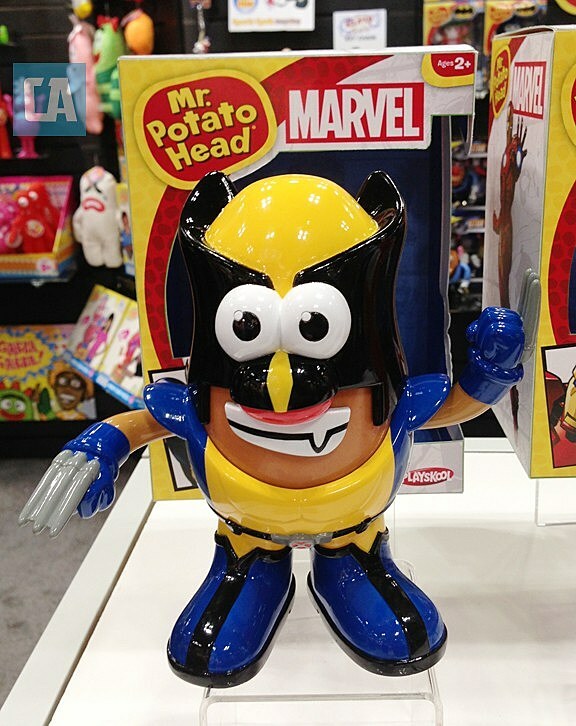 Both Potato Heads are rocking comic book designs rather than movie-centric looks, giving collectors pretty broad display options. Their costumes are streamlined enough that customizers may enjoy putting their own spin on each figure as well. You can get a closer look at the tubers after the jump to see what you think.